If you clicked on this then accept my warm welcome to the Makers party. These tutorial series which will be handled by the Geek in the neighborhood Clement Dike, will take you through everything raspberry pi, one tutorial at a time, so it doesn’t matter if you are a newbie to the world of making, or a grade A maker…the tutorial series has got something for everyone with great projects to automate stuffs in your home, office, school or solve some of the biggest challenges being faced in the society. The raspberry pi is a Credit card size single board,super low cost computer..developed in the UK by Raspberry-pi foundation in 2009. Supported by University of Cambridge Computer laboratory & Broadcom to promote the study of basic computer science in schools & to develop interest among kids and adults. Several Models of the raspberry pi has thus been released since then each having more capabilities, USB ports and other technical features than the previous ones. 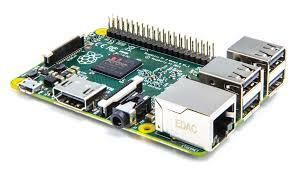 The ability of the raspberry pi to perform several PC grade functions like Image processing, serving as an IOT server etc has endeared it to the hearts of makers, who have continued to find ways of doing exceptional things with the device. For this tutorial series, I will advice you get some of the components listed below they will be needed for the first few parts of the tutorial series, so you can actively follow the tutorial. All the components are available here on the hub360 store, order away! 4. An ethernet cable: Any standard ethernet cable will do. You only need this to connect to your network and the internet, and also to connect the Pi to your PC in headless mode..i.e use your computer as a screen for the raspberry pi). 5. A USB keyboard and mouse: Any standard USB keyboard or mouse will do. Wireless (non-Bluetooth) peripherals worked for me, but I had to unplug them and plug them back in after the Raspberry Pi booted. You’ll have fewer issues with fully wired keyboards and mice. 9. A 3.5mm stereo audio cable: You only need this if you’re using analog video and want to connect your Raspberry Pi to a set of external speakers or internal ones on your television or monitor. 10. Leds, Resistors and push buttons. These set of components will be good enough for the first couple of tutorials. Special Components that may be required for subsequent tutorials will be stated before the tutorial to allow you get them. Thanks for reading. Feel free to drop comments, questions and your opinion on how the tutorial should be structured. Here is a sneekpeak into some of the wonderful and cool things that have been done with the raspberry pi. The possibilities are endless and the only limitation to what you can build with the raspberry pi is your Imagination. I am following you now….